In amongst all the tributes to Ray Wilkins before, during and after the 4-2 win last week against Sheffield Wednesday, another tribute of sorts was taking place in the QPR Club Shop. I had noticed that morning on the QPR website that the club were promoting the launch of a book telling a storythat has touched every QPR fans heart for the past 12 years. 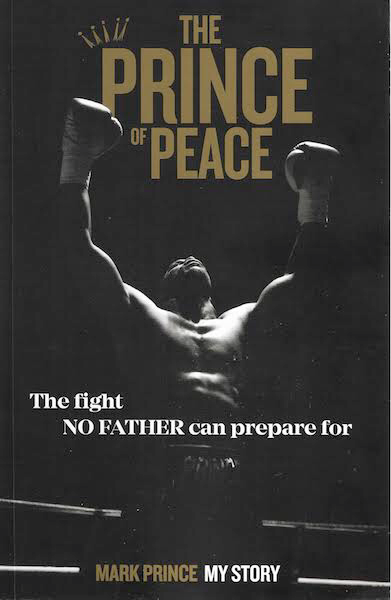 The book, by Kiyan Prince’s father, would be on sale before the game and Mark himself would be in attendance between 6.45pm and 7.15pm to sign copies of the book. I’m not revealing any ‘spoiler alerts’ by saying that the story doesn’t have a happy ending. In fact, having read the book from start to finish in two sessions, I can say it does have a happy ending…of sorts. Admittedly the fact the story is heavily linked with QPR was what attracted me in the first place, but I cancategorically state that it is one of the best biographical tomes I have ever read. The story isn’t about Kiyan as such but the journey that Mark has been on since he was born in 1969. The story is a warts and all tale of how Mark grew up in North London to a poor working class West Indian family. He tells of how him and his siblings were poorly treated by their father in the second chapter titled ‘Dem Beatings’. The tears started rolling down my cheeks as early as page 38, but nothing compared to the chapters ’18 May 2006’ and then later ‘Trials And Tribulations’ of course. Mark openly admits he was a wrong ‘un in his late teens and early twenties. Crime, violence and drugs were a huge part of his life. Then one day he had a light bulb moment and took up boxing following in his father’s footsteps. For the next 25 years, his life had its ups and downs like a lot of lives then hit rock bottom 12 years ago. How Mark is still alive today following what he has been through is down to his character and Christian faith. All through the book he bears no ill to anyone he has met in his life. Apart from one person of course. He talks openly about his anger during the first trial towards his son’s killer. He then had to endure two more trials. But come the closing pages, which were only completed six months ago, he admits that he forgives Kiyan’smurderer today. All through the story, he repeats his thanks to literally everyone who has helped him during a very dark period no parent should go through. In particular, he repeatedly thanks Queen’s Park Rangers staff and fans. All the Gallen brothers are mentioned, Andy Evans, Terry Springett and Paul Furlong. He also reveals that Paul was an old school friend. When signing my book I said a few words to Mark and he even thanked me. By the end of the book you cannot feel anything but admiration for Mark as he now set up the Kiyan Prince Foundation in honour of his son. He has received many awards for his charity work in reducing knife crime. There are tributes at the end by both Andy Evans and Andy Sinton telling Mark he should be proud of his son. I’d like to add that his son would be very proud of his father as well. I urge all QPR fans, if you buy only one book this year, buy this one. It’s available in the Club Shop at £12.99.